Efficiently combine salary with dividends and declare your dividends at a time that suits you. 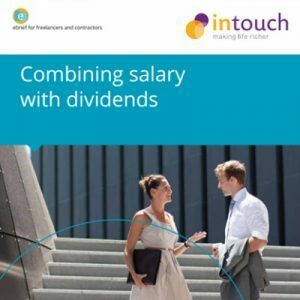 At Intouch Accounting, the personal online accounting adviser for contractors and freelancers, we discuss how contractors legitimately reduce their overall taxation costs by efficiently combining an annual salary with any additional cash requirements being taken as dividends from the company. Payment dates for tax on dividends should also influence the date dividends are declared. Designed to maximise your take home pay: Keep what’s yours and only pay the taxman what’s rightfully his. If your contracting business in year one is expected to bill fees of £50,000, incur net expenses (ignoring director’s salary) of £5,000 leaving a profit (surplus) before tax and director’s salary of £45,000 then what can you do to minimise your overall tax liabilities? When should you declare dividends? Which actions are provocative to HMRC ? Should I be the only shareholder? (Yes, No, It depends) How do you decide? This tax guide will only try to answer some of your questions and to put the issues into perspective. We can explain the rules, the advantages and the risks. To get the best answer (which is the right answer for you) it must be based on personal circumstances and your attitude to risk. When a contractor wants to take money from their business other than when taking a loan, reimbursing expenses, or when they are closing the business down, it must be taken as a salary or a dividend. Salaries can be paid to any employee but dividends can only be paid to shareholders. Contractors using personal service companies are often both employees and shareholders and for this reason they can enjoy the flexibility of choosing how to take their money out. Salaries paid to the director(s) who are often also the main shareholder(s). When a salary is paid to any employee it is as a reward for their services as an employee and is not in anyway linked to being a reward as a shareholder. In most circumstances, salaries are set at an annual level approved by the directors and can range from £nil to any commercial upper level agreed for the work performed, and one which can be supported by the business. Salaries are an allowable expense of the business and are deducted before corporation tax is calculated (in other words they get tax relief). Above certain levels salaries attract employee’s and employer’s National Insurance contributions, as well as an income tax liability in the hands of the employee. Some directors choose to pay themselves a salary of £Nil and take all of their “earnings” from the business as dividends. As a consequence they pay no National Insurance at all, but this does have other implications to be considered. HMRC may interpret not being paid for the services as an employee as aggressive and argue that dividends paid or declared incorrectly may indeed be “salary in disguise” and seek to tax them as salary. Many directors choose to pay themselves a basic salary up to the limit when National Insurance contributions become payable. For the tax year 2013/2014 this lower threshold is £7,696 pa (called the secondary threshold) for employer’s National Insurance and £7,755 pa (called the Primary threshold) for employee’s National Insurance. However, whilst choosing the level of salary to be paid is a personal decision of the director, remuneration at the National Insurance threshold is lower than the National Minimum wage. From 1 October 2013 the National Minimum Wage for persons over 21 years of age is £6.31 per hour. Which at 35 hours a week, 52 weeks a year, generates an approximation of the annual minimum wage of £11,500. Many commentators and advisers suggest salary at this level as a sensible alternative to levels below the National Insurance threshold as it demonstrates an intention to operate a genuine commercial business. Directors may choose to take a salary above the National Minimum Wage to support either a mortgage or loan application or for other personal reasons. There is no tax benefit for contractors in taking salary in excess of this level except in the case of “special” circumstances. What are the rates of National Insurance if your salary is above the threshold? Above the minimum annual thresholds National Insurance contributions are due from both the employer and the employee at the following rates. Class 1 Employers: National Insurance is paid at a rate of 13.8% of the gross salary for all earnings above the Secondary threshold of £7696 pa. Therefore, you can appreciate that there is a balance to be found between paying remuneration as salary which (above the minimum levels) attracts National Insurance contributions, and additional cash being paid out to shareholders in the form of dividends, which do not attract any National Insurance contributions. There are other differences between these choices that should be considered, that are not as visible as the tax effect. Your accountant will be able to answer your questions. Before we start to explain the advantages of dividends, which help make limited companies much more attractive than Umbrella solutions, where the only payment option is a salary. Let us explain some basic concepts and build up to consider what a dividend is and who can receive them. Dividends are basically payments made to the owners of the company (the shareholders) from the company’s accumulated profits after corporation tax (In other words income less expenses and salaries, and also after deducting corporation tax). Each year the business trades if it makes a profit (or surplus) after corporation tax, then this remains within the company where, together with surpluses from all earlier years it accumulates. It can be reduced by losses made in any year or reduced as a result of some other technical reasons, but otherwise it just keeps growing until: either the shareholder/directors decide to declare a dividend, or the business is closed and the contracting trade ceases when it will be repaid to the shareholders. A dividend becomes payable to the shareholders when the directors decide that a dividend should be declared, and it is payable to the shareholders directly in proportion to the shares that each owns. So, if you wanted to pay a dividend to someone who doesn’t hold shares in the company – you can’t…! And, in turn, if no profit has been accumulated and retained in the business in the period since commencement, then the company cannot pay a dividend. What ways are there to get money out of the company? Options 1 and 2 above are rewards for your employment services and are very different from option 3. Any dividend entitlement only arises because of a shareholding in the company and has nothing to do with employment or services provided. Why is “Profit after tax” an important figure? When a company declares a dividend, it can only do so if there are sufficient available profits at that time. You, as director, are responsible for making sure that there are sufficient profits and for remembering that profits for dividend purposes are always calculated after provision or deduction of corporation tax; so it’s necessary to have some form of up to date management accounts to work out the profits available when you are thinking of declaring a dividend. In Year 1 your company made profits after tax of £20,000 but did not pay any dividends and, in Year 2, you made further profits of £30,000 after tax. You could declare a dividend at the end of Year 2 of up to £50,000. Well, if a dividend is illegal, then there are consequences. Firstly, a director could be found personally liable for any illegal dividend paid if the company goes into liquidation. But, what’s more likely, is that the illegal dividend becomes repayable by those who ought to have known that the dividend is illegal. That usually includes the contractor and his family shareholders. When a company is created the first shares that are allocated to shareholders are called subscriber shares, and it’s normal for only one type of share to be considered. The directors can issue additional shares later if they consider it appropriate, or they can go one step further and convert existing shares into several different classes (types) of share or create entirely new types of share if they wish. We mentioned above that shares can be created as different classes (basically different types) of share. A class of share can be created by simply giving each class a different name and setting out the rights that each class has. Every share within a class of shares ranks equally, and so dividend and voting entitlements of shareholders are determined by the number of that class of shares held. 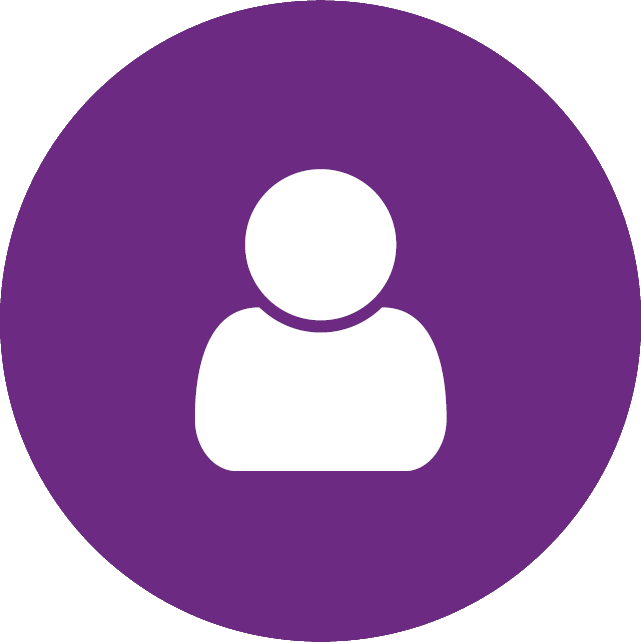 We will return to share classes later and explore how you can use classes to direct income to the right person at the right time, without having to modify shareholdings. Another real benefit of trading through a limited company is that if your circumstances support having multiple shareholders and additional employees other than just you then with good advice you can make best use of the allowances and lower rates of taxation available every year. If a dividend is payable to the holder of a class of shares, then we need to consider what we can do if one shareholder is a higher rate taxpayer while the other is not. This planning opportunity has enjoyed a degree of popularity but you must seek guidance on the “Settlements provisions” legislation. Now I know what dividends are and how to get what to whom, when should they be declared? Using the rules to create a timing benefit can be much easier than you might think. Declaring and paying dividends is the decision of the directors which is then approved by the shareholders. Provided the profits are available then it should be done at the time to suit the shareholders. Moving the date by even a week around April can have amazing results. When are dividends treated as “received”? A final dividend is payable on a fixed date proposed by the directors, but then subsequently requires formal confirmation by the shareholders which cannot be rescinded, and so (after shareholder confirmation) the approved due date is the deemed date of payment, irrespective of when they are actually paid. On the whole, contractors generally declare interim dividends and these are treated as received on the date the directors decide to declare and pay them (most often this is the same date), confirmed by a process called “the dividend declaration.” This consists of a Board Minute to document that the directors have considered that profits are available for distribution, while also considering the future financial needs of the company. Not all dividends are paid in cash straight away. Sometimes declared dividends are shown as a loan due to the shareholder (often a director) when they want to take the cash at some future date, or used to effectively “repay” amounts already taken from the company. Once approved and the payment date set by the directors, the interim dividend is deemed to be received on the date payment is made. This date is very important to the shareholders, as it determines which tax year the income is deemed to fall into. An interim dividend declared on 1 April 2013, paid on 4 April 2013, but not banked by the shareholder until 10 April 2013 is treated as income for the shareholder during the tax year 2012/2013 even though banked by the taxpayer after 5 April, the income tax year-end. It is therefore important to consider the “paid date” when declaring dividends close to the year-end. Let’s assume you normally don’t pay higher rate taxes but one year you need to take more out than normal, such that a higher rate liability would be incurred on the exceptional amount being taken. If you are careful you can use director’s loans as a means to take the money when you need it and then declare a dividend to be payable by offset against the loan taken. So long as this dividend is declared and paid within 9 months after the end of the accounting period you won’t have to pay the tax on an overdrawn loan account (there is always the issue of the interest free benefit in kind to consider). But you can use the time lag to make the dividend fall into a later tax year and defer the higher rate liability. The same technique can be used if ever you want to defer taxable income from one tax year to another; but be careful … it’s very easy to stockpile higher rate tax liabilities if you do not monitor this closely. When an individual receives a dividend they are receiving income that must be taken into account when working out if they have more personal tax to pay in that tax year. Because a dividend is paid from profits that have already been taxed (corporation tax), they are treated as received by an individual after a notional tax credit of 10% has been charged. This means that the dividend you receive is treated for income tax purposes as if it had suffered a deduction of 10% tax, even though no tax has been paid over. But don’t worry … dividends are not taxed at the normal basic rate of 20%. They are taxed at a basic rate of 10%. This means that if the person receiving the dividend is only subject to basic rate income tax, then they won’t have to pay any more tax on the dividend received. However, if you are subject to higher rates of income tax, then you will have to pay additional tax on any dividends. To work out if you are subject to higher rate tax, you need to look at all of your income before tax was deducted, add everything up and, after deducting any available tax free amounts or other personal allowances, compare the remaining income figure with the tax bands for the relevant tax year. The important thing to remember is that dividends are always net of a 10% tax credit, so you would need to increase the dividend received to get the right starting point. To convert a dividend received net into gross income, simply multiply the dividend by 10/9. For example a dividend of £9,000 has a notional tax credit attached to it of £1,000, making it into gross income for tax purposes of £10,000 (9,000 x 10/9 = 10,000). Assuming a net dividend of £8,000 falls into the higher rate tax band, then the additional tax payable would be £2,000. Below we show how that is worked out. Tax credit at 10% of the gross dividend = £888.88 Check: Gross dividend of £8,888.88 less the tax credit of £888.88 = the net dividend received of £8,000. So this looks like you’ve saved tax because, rather than paying 40%, you’ve actually incurred only the £888.88 tax credit and paid a higher rate liability of £2,000 resulting in only £2,888.88 income tax. But, don’t forget that the £8,000 available as a dividend is the remaining surplus (profit) and has already been subject to corporation tax. Dividends are a payment to shareholders of part of the accumulated profits after corporation tax of the company, and that they are payable to the holders of the class of share to which the dividend is declared. Combine limited company dividends and salary in the most effective proportion and declare dividends at the best time for the shareholders. As frustrating as it may seem there is no single answer that will suit all contractors. Ignoring any moral objection to reducing your tax bill, your personal circumstances and attitude towards risk will determine the most efficient advice for you. It is common for contractors to pay themselves a modest salary and make up the rest of their required monthly income from taking short term loans from the business. At the end of an accounting period (month, quarter or year) or perhaps the end of the tax year, the extent of the loan taken from the company is assessed and its repayment will be made by the declaration of a dividend. The dividend declared is not actually “paid in cash” but used to offset the cash already taken from the business in advance. If the recipient of the dividend is close to higher rate tax thresholds then the timing of the dividend’s declaration becomes sensitive especially around the end of the tax year (5th April). If the primary director’s spouse or partner has no other income then perhaps they will have salary or dividends sufficient to utilise all personal allowances and basic rates of taxation.